Regardless of who did it or why, there is only one loser. The Russian ambassador’s death is complicated and troubling for the future course of events in Turkey. 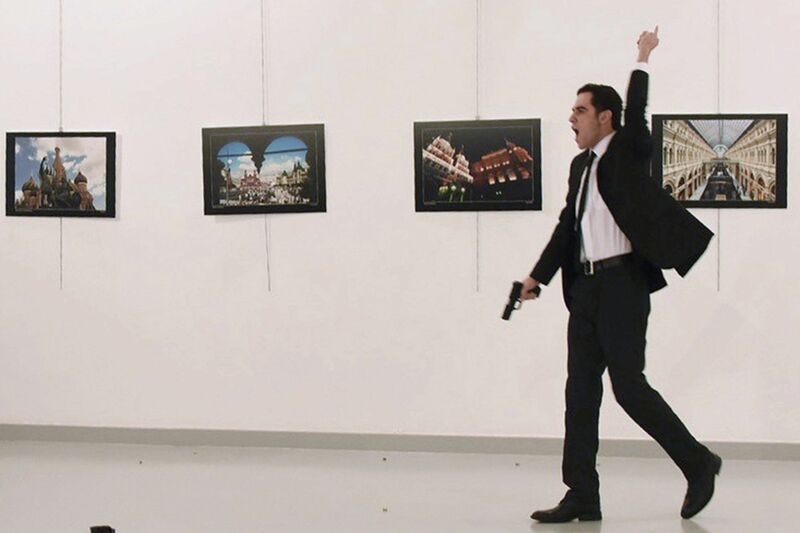 Even by the standards of recent tragedies experienced by my country, Monday’s assassination of Andrei Karlov, the Russian ambassador to Turkey, was an anomaly. My grandparents’ generation used to speak of the fear they felt for my parents during the so-called “political violence of the ‘70s” when Turkey’s youth was almost lost to armed fighting between the nationalists and the leftists on the streets and in college campuses. I have a friend whose father was brutally gunned down by his political foes right in front of his young family. The end result was the military takeover in 1980, which set Turkish democracy back at least a decade. The assassination on Turkish soil of a foreign dignitary like Ambassador Karlov is almost unheard of. Political assassinations are sadly common in Turkey. In fact, Ottoman history is peppered with sons of sultans ordering assassinations against each other in order to take the throne. Yet, the assassination on Turkish soil of a foreign dignitary like Ambassador Karlov is almost unheard of. Some have even likened Karlov’s assassination to that of Archduke Franz Ferdinand of Austria, who was killed in Sarajevo in 1914 by a Serbian nationalist, sparking the outbreak of World War I. This line of thinking might be a bit of a stretch, but there are other issues that make the Russian ambassador’s death still complicated and troubling for the future course of events in Turkey. Some have even likened Karlov’s assassination to that of Archduke Franz Ferdinand of Austria. 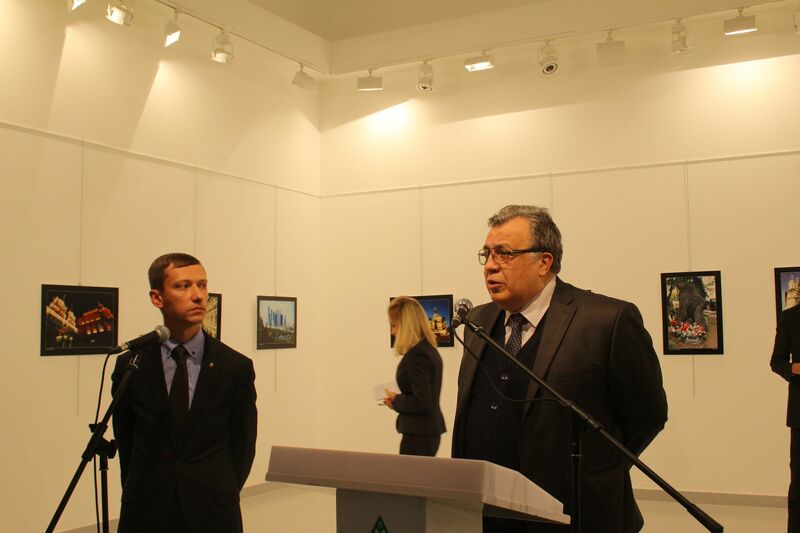 Karlov was a career diplomat and an instrumental force behind the recent rapprochement between Russia and Turkey. The relations between the two countries soured after the downing of a Russian jet by Turkish forces on the Syrian border last year, only to be mended very recently. It’s telling that someone timed Karlov’s assassination to coincide with the improvement of relations between Turkey and Russia, and on the eve of trilateral talks between Turkey, Russia and Iran to discuss the evacuation of Aleppo and resolutions to the Syrian crisis. Everyone in Turkey is in shock and wants to know: Why would someone commit this crime? And why now? The truth is, long before this week’s assassination, Russia and Turkey had been courting each other. It’s telling that someone timed Karlov’s assassination to coincide with the improvement of relations between Turkey and Russia, and on the eve of trilateral talks between Turkey, Russia and Iran. Russian President Vladimir Putin was one of the first foreign statesmen to offer Turkish President Recep Tayyip Erdoğan his support after the coup attempt in July. He has also vowed after Karlov’s assassination that his top diplomat’s death will not damage the fragile relationship between the two nations. During Karlov’s term, Turkey finalized the signing of major joint energy projects with Russia, including Turkish Stream, a trans-Black Sea pipeline that transfers natural gas from Russia to Turkey. 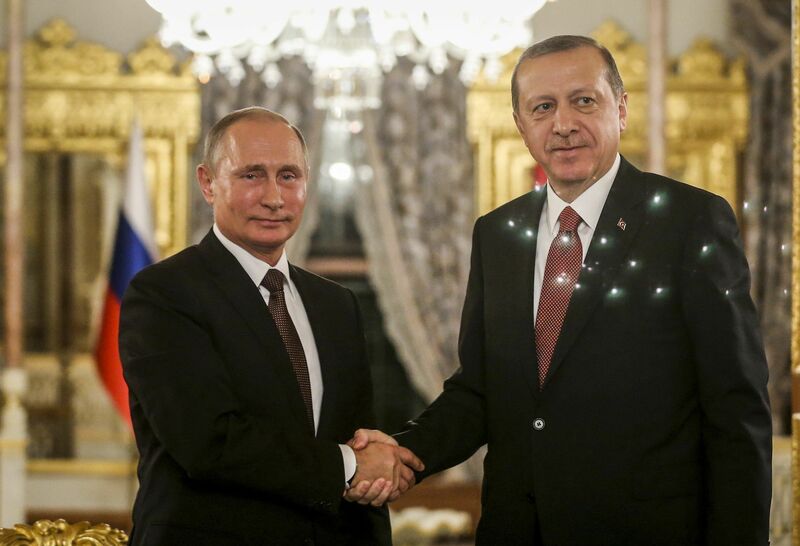 It is possible that the newfound Turkey-Russia romance is first and foremost a partnership of convenience. However, there are signs that the partnership may be long-lasting and extend beyond the economy and into the military. It is no secret that Russia is testing waters with neighboring countries and allies for a Russian-led NATO-like formation called CSTO, or the Collective Security Treaty Organization. Last month, Russia offered to set up a joint task force to give it legal grounds to protect Armenia against foreign aggression. It is possible that the newfound Turkey-Russia romance is first and foremost a partnership of convenience. The Russian ambassador’s assassination may expose the vulnerabilities of the new shift in Turkey’s foreign policy towards the East at the cost of turning its back on its natural ally, the United States. It’s true that new alliances bring new opportunities for Turkey, but they also mean new variables in an already complex equation. The sentiment expressed by the Turkish government and voiced increasingly loudly by the Turkish public is that hidden powers are trying to manipulate the current chaos and undermine Turkish foreign policy every time Turkey embarks on a new mission. Fear mongers cite the example of the downing of the Russian jet under suspicious circumstances just before the Turkish military was preparing a major onslaught against the self-proclaimed Islamic State in Jarabulus last year. A strong NATO member, Turkey may have found a new ally in Russia, and possibly even Iran, to become a game changer in the Middle East. Recent political moves by Ankara such as the Euphrates Shield operation and the trilateral Syrian talks this week support this logic. A strong NATO member, Turkey may have found a new ally in Russia, and possibly even Iran, to become a game changer in the Middle East. Finally, there is the mystery behind Ambassador Karlov’s assassin, Mevlüt Mert Altıntaş, who police later killed in a shootout. He was a riot policeman, whose ranting in broken Arabic seconds after he shot Karlov took everyone by surprise. Considering that he appeared to be reciting memorized phrases, one wonders if someone was trying to link his terrible crime to terrorist organizations like al Qaeda. Investigations into the assassination are still ongoing, but it seems increasingly possible that Altıntaş was more than a policeman, even possibly a Carlos the Jackal-like professional hit man. President Erdoğan has since tied Altıntaş to U.S.-based cleric Fethullah Gülen and his movement, which the Turkish government calls the Gulenist Terror Organization or FETÖ. Reports have indicated Altıntaş’s and his uncle’s alleged involvement or connection with the Gülen movement’s school network in İzmir, a coastal town in western Turkey. It has now become the norm for the movement to deny any wrongdoing by Gülen affiliates despite growing allegations against it as Turkey reels from a coup attempt and attacks. At home, the pro-government media and supporters of the Turkish nationalist party MHP, or the National Movement Party, which backs Erdoğan’s bid for a Turkish-style presidency, have long believed that ISIS, the Kurdistan Workers’ Party, or the PKK, and FETÖ all share information and work towards the same target. In the wake of so many terror attacks in such a short period of time, this assumption is suddenly looking plausible for many Turks. This year has been an especially violent one for Turkey, with two back-to-back attacks in the last week and a half. 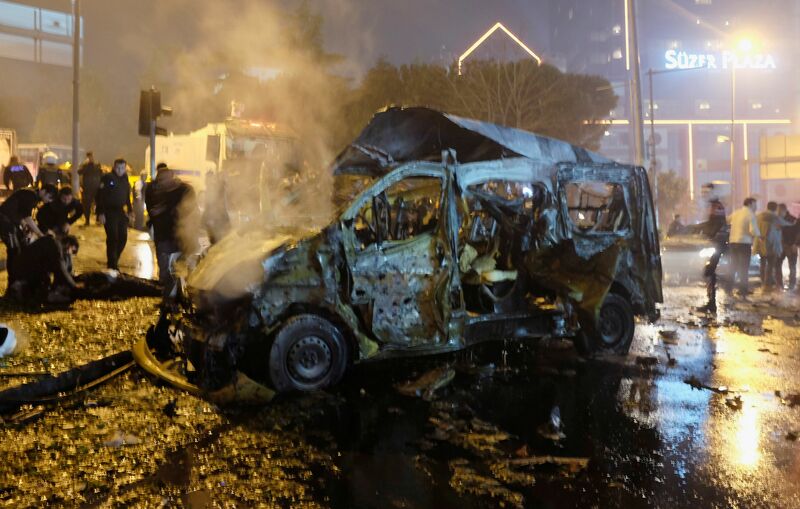 In the last week and a half alone, dozens of people were killed and hundreds were wounded in several attacks against security forces near a stadium in Istanbul and aboard a bus carrying low-ranking soldiers in Kayseri in central Anatolia. In both attacks, The Kurdistan Freedom Hawks, or TAK, a splinter faction of the PKK, deemed a terrorist organization by many, claimed responsibility. There is growing concern that the country will be drawn into further chaos if this trend continues. Unlike Franz Ferdinand’s assassination, Andrei Karlov’s assassination this week was captured on video, and photos were shared by thousands of people on social media, which didn’t exist in Ferdinand’s time a century ago. But the old tricks of provocation and manipulation never cease to work. Regardless of who wanted the ambassador’s death to be a message to whom ― and via whom ― the only loser in this power game looks like ordinary Turks and Turkey itself.